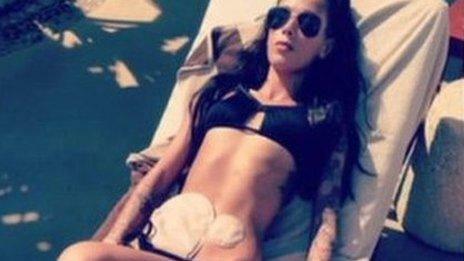 A woman with Crohn's disease, who photographed herself on holiday with her colostomy bags out, has told Newsbeat that people shouldn't hide the fact that they have the condition. Former model Bethany Townsend has had the disease since she was three. She sent the photos to Crohn's and Colitis UK, which put them on Facebook. She said: "I would say to anyone who has this condition and lives with a colostomy bag and is going on holiday... Get your belly out." The 23-year-old from Worcester decided to wear the bikini while she was on holiday in Mexico last December. The photos have now been viewed by more than 11 million people. Crohn's disease is a condition that causes inflammation of the digestive system, affecting the sufferer's ability to digest food, absorb nutrients and eliminate waste. "My colostomy bag is always on and affects my everyday life, down to the point of eating, going to the toilet and feeling sick," she said. "The reason I took a photo is because I wanted to show myself, that I have got the confidence to do this and hoped in the future I might have the confidence to show other people too. 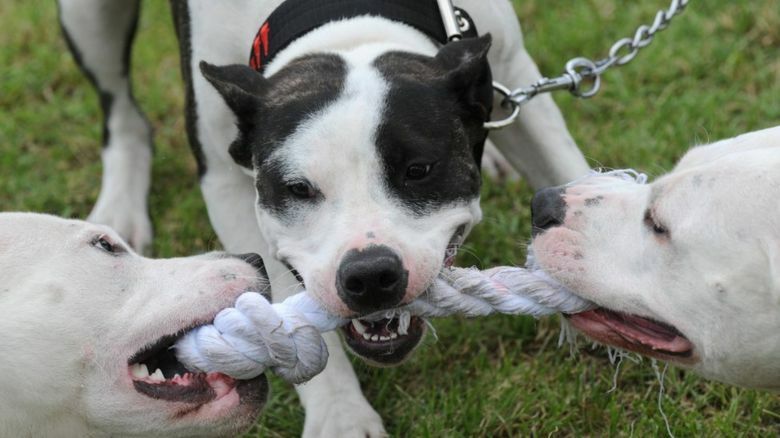 "But these photos seem to be doing the trick. Everybody is sending me their holiday snaps, which is just fantastic. "It's crazy my photograph has had more than 11 million views. I didn't know it would mean so much to other people. "I was really nervous about first meeting a guy and having to explain what a colostomy bag was, but the first night we spent together, I just said 'Here you go, I've got a colostomy bag' and he was like, 'Yeah, what's the deal?'" If you want to find out more about Crohn's disease you can reach the Crohn's and Colitis charity's information service on 0845 130 2233.